Looking for a table to support your knitting machine? Here are beautiful hand-made tables designed by a machine knitter! 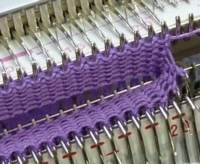 "I never know how many stitches and rows to work for a swatch"
A knitter posted this to one of our YouTube videos. 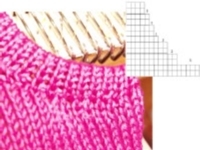 Are you caught up in the "rules" of machine knitting? 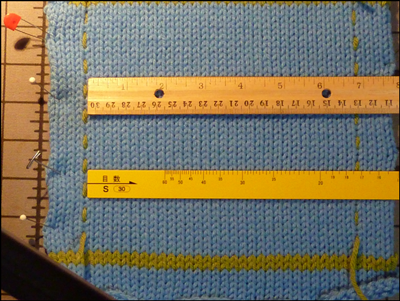 Think about it ... maybe you normally use a round-the-gatepeg bind off, and you start on the right side of the main bed. What happens when it comes time to bind off the ribber stitches ... ever try working backwards and upside down on the ribber? When knitting pullover sweaters for babies and kids, it's important to make sure the neck opening will fit over the head. Looking at sizing charts 3 month heads are 15". Neck openings are 4.5". Yes, knitting stretches, but leaving one shoulder open is the answer for a sweater that will be worn. Here are 2 methods for finished shoulder openings for kids sweaters.